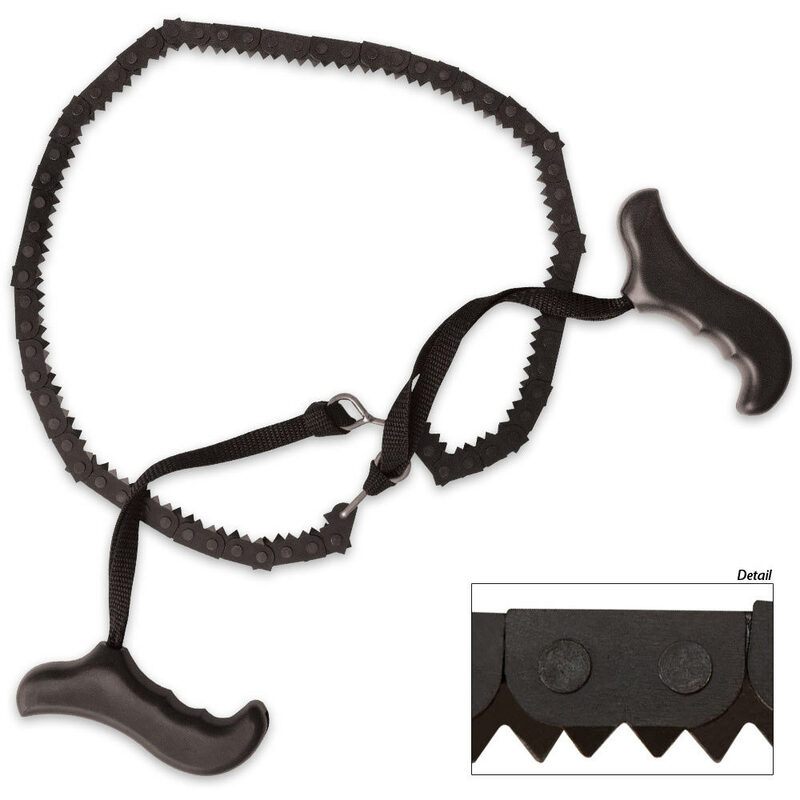 This Hand Held Survival Chain Saw is perfect for your next hiking, fishing, hunting, camping trip, or as part of your bug-out bag. It features 92 high-strength, heat treated bidirectional cutting teeth coated for rust resistance. Capable of cutting through a 3 in. diameter limb in 20 seconds and weighs only .45 lbs. For similar items, check out our full line of Demolition Tools. Great saw, works perfectly, and much stronger than the wire saws. This is a MUST HAVE for any camping/survival pack. Only flaw I've noticed is that sometimes saw dust will make the links stick so make sure to clean it off after each use. Keep it clean and oiled and it should last you a good long time. Not a bad product. The teeth are a little bent and the handles are a bit difficult to use but other than that it works great.